Egypt needs to pay firms more to exploit its offshore gas reserves if it is to have any chance of regaining its footing as a liquefied natural gas (LNG) exporter, the head of an Anglo-Egyptian energy venture said on Monday. Egyptian LNG exports have slowed to a trickle since last year due to supply shortages and growing domestic needs, in turn disrupting deliveries to the foreign firms who funded its export plants. The government should review how it pays foreign firms to reflect the high costs of exploration and infrastructure at extreme depths, the chairman of the Gulf of Suez Petroleum Company (GUPCO), Abed Ezz el-Mahally, said in an interview. “The issue should be linked to the area of production and the cost of production,” he said. “We should differentiate from the offshore, ultra-deepwater activities and the [generally less costly] onshore activities,” he said, adding that reforming pricing arrangements with gas majors would enable future production. Egypt’s interim government, installed by the army after it toppled Islamist President Mohammad Mursi in July, faces pressing concerns in dealing with the energy sector. It owes foreign energy firms including GUPCO - a joint venture between BP PLC and state-run Egyptian General Petroleum Corporation - at least $6 billion while fuel subsidies, which account for more than a fifth of state spending, have long been a drag on the budget. But with civil unrest still the dominant feature of the political landscape, the army-backed government - like the previous administration - is hesitant to confront the potentially explosive issue of subsidy reform head on. Because what the government pays them for fuel barely covers their investment costs, exploration companies are not developing untapped finds in Egypt’s gas-rich waters. 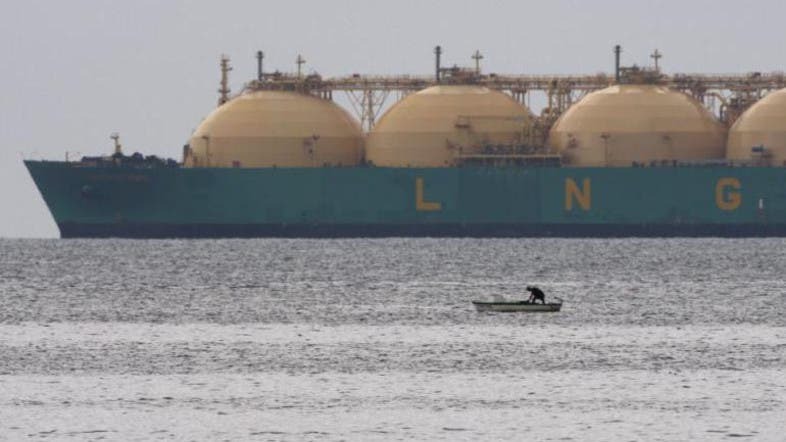 This has in turn caused domestic gas shortages, prompting the government to divert more gas away from the country’s two LNG export plants at Damietta - which was idled late last year - and at Idku. He suggested offshore exploration should be prioritised with a more attractive payback mechanism for investors to ensure there is enough supply for domestic needs and exports. The end of LNG exports? Mahally said that GUPCO consumes more than 95 percent of its gas production in power generation at its own facilities. This statistic reflects what some experts see as the biggest challenge facing the energy sector of the Arab world’s most populous nation: rapidly growing domestic demands on oil and gas production that will increasingly prevent it from exporting to international markets. Justin Dargin, a Middle East energy expert at Britain’s Oxford University, said that given internal consumption requirements and steady demographic growth, it is extremely unlikely that Egypt will “ever return” to being a LNG exporting country in the long-term. “Egypt is still exporting much smaller amounts of LNG in order to keep its contractual obligations, but as soon as those contracts expire, Egypt will redirect exports for domestic consumption,” he said. Unlike Damietta’s LNG plant, gas supplies to Idku have not been completely cut off, but the plant is struggling to secure enough feed gas from offshore fields while the government is also diverting some gas for the domestic market. But BG Group, which exports from the Idku plant with French major GDF Suez, expects gas supplies into the plant to improve towards the end of this year, potentially leading to a boost in exports. The Egyptian state pays offshore gas producers on average around $2-$3 per million British thermal units, according to industry estimates. Comparable payments for UK gas are currently above $10 and for Asian supply above $17. Additionally, under production sharing agreements, Cairo takes ownership of half the gas produced from offshore fields, further reducing exploration companies’ revenues.